The Smooth Perfection Foundation (Y3) is a smooth, mineral based foundation delivers invisible coverage and imparts a flawless finish. 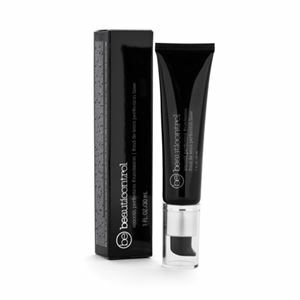 Diffuses skin imperfections and dark shadows while smoothing out fine lines and wrinkles. To use: For best results, apply with cosmetic sponge or foundation brush. Blend well. Ingredients: Water (Aqua), Cyclopentasiloxane, Butylene Glycol, Lauryl PEG-9, Polydimethylsiloxyethyl Dimethicone, HDI/Trimethylol Hexyllactone Crosspolymer, Cetyl PEG/PPG-10/1 Dimethicone, Polyglyceryl-4 Isostearate, Disteardimonium Hectorite, Hexyl Laurate, Dimethicone Crosspolymer, Tocopheryl Acetate, Tocopherol, Retinyl Palmitate, Tetrahexyldecyl Ascorbate, Oleanolic Acid, Lysine, Aminobutyric Avid, Enantia Chlorantha Bark Extract, Panax Ginseng Root Extract, Portulaca Oleracea Exract, Centella Asiatica Extract, Sodium Hyaluronate, Squalane, Sodium Chondroitin Sulfate, Atelocollagen, Propylene Carbonate, Phytantriol, Silica, Nylon-12 Fluorescent Brightener 230 Salt, Polyvinylalcohol Crosspolymer, Polysilicone-11, Tentaerythrityl Tetraisostearate, Silica Dimethyl Silylate, Pentylene Glycol, Barium Sulfate, Sodium Chloride, Magnesium Chloride, Potassium Chloride, Zinc Chloride, Triethoxylcaprylylsilane, Tin Oxide, Hexylene Glycol, Caprylyl Glycol, Disodium EDTA, Sodium Benzoate, Sodium Dehydroacetate, Potassium Sorbate, Phenoxyethanol. May contain: Mica (CI 77019), Titanium Dioxide (CI 77891), Iron Oxides (CI 77491, CI 77492, CI 77499), Chromium Hydroxide Green (CI 77289), Chromium Oxide Greens (CI 77288).